3. Piece of net / shiny material measuring width of slightly less than the length of your peg, and length approximately 1 1/2 times the length of your peg. 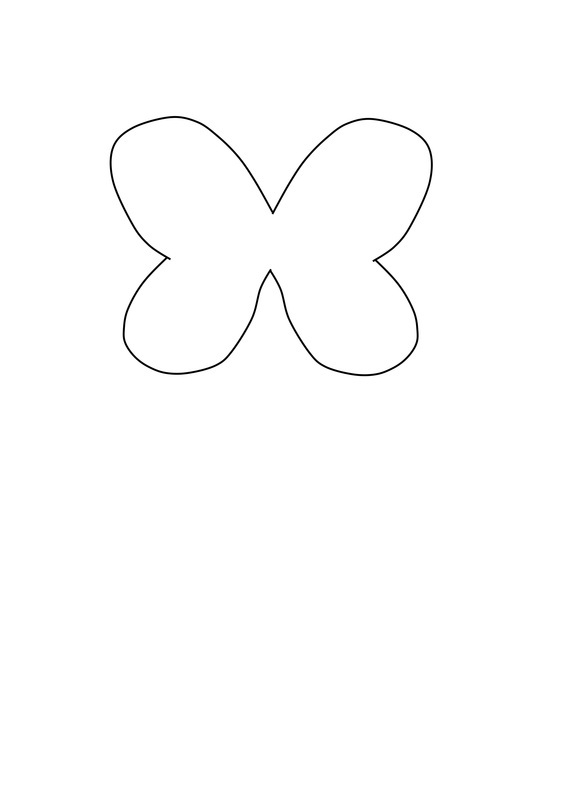 Print out the wing template onto light card. 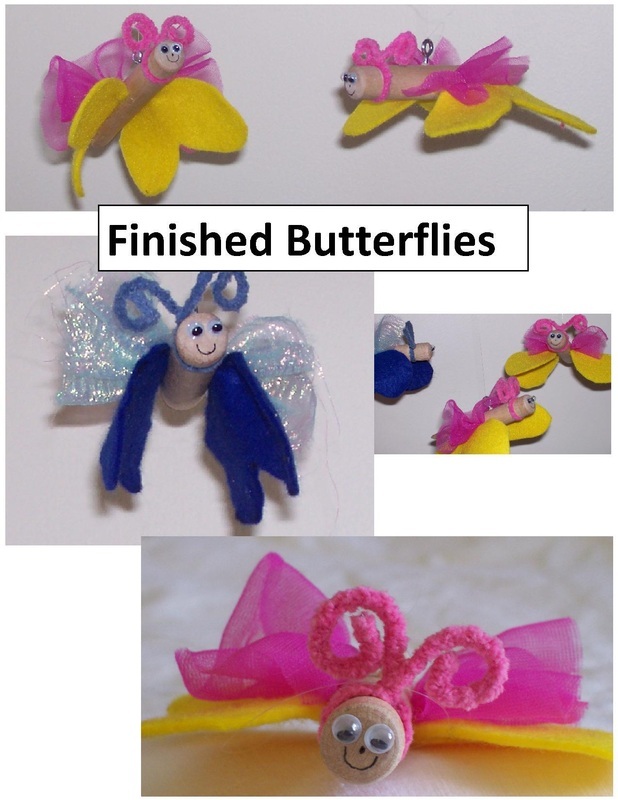 The templates are sized for A4 printing, and are available in either jpg or pdf. jpg - click on the template (right) to open it in another window. Save to your computer and print from there. pdf - click on the pdf link below to open and print off the template. 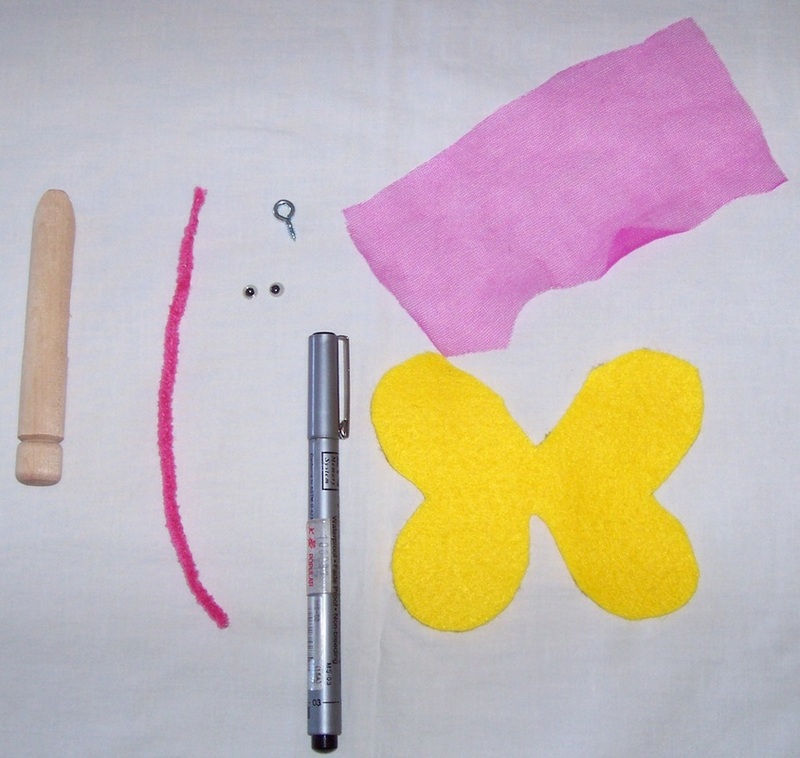 Cut out the template and place it onto the felt. Using the black pen trace around the shape. 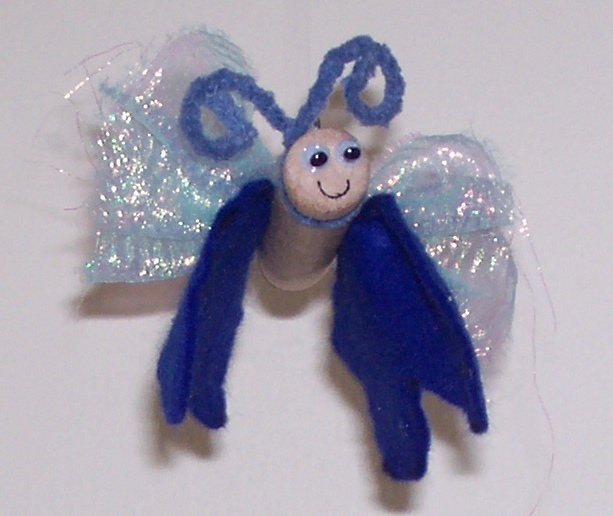 Cut out the wings. 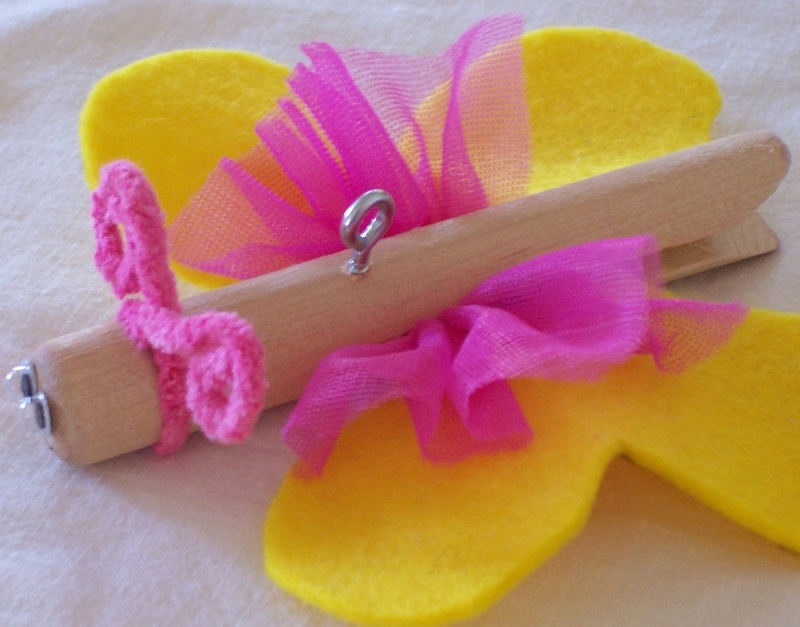 Tie the pipe cleaner around the groove in the peg and fashion the ends into curls (see image below). 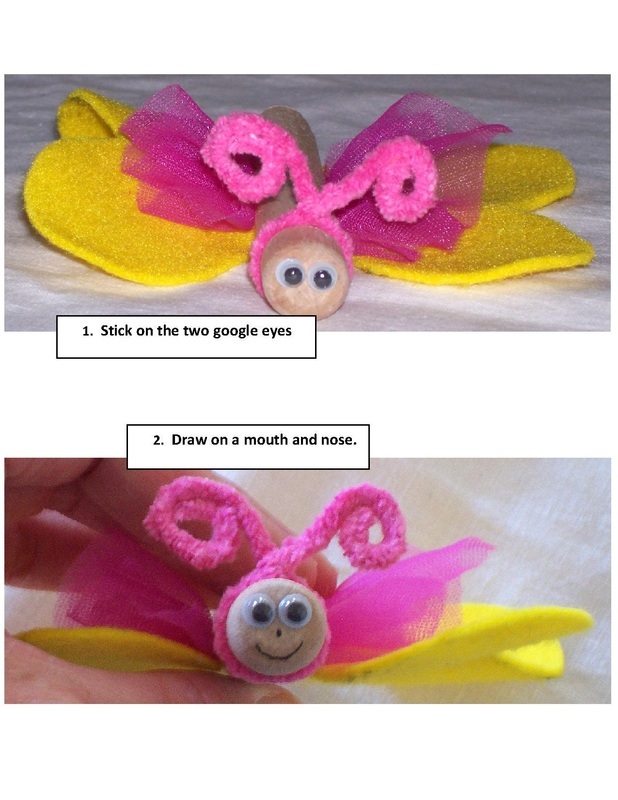 Stick on the google eyes and draw on the face. 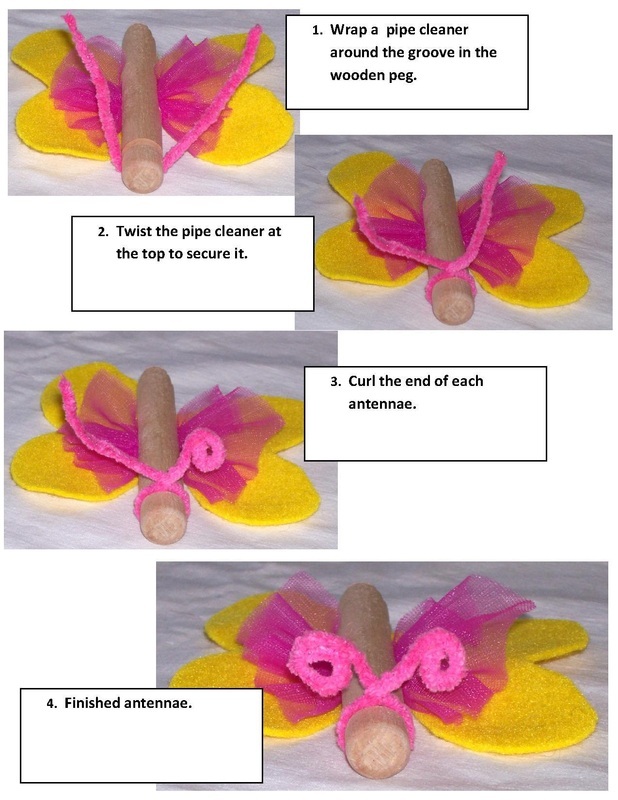 Screw in the hook, and tie a piece of string or fishing line to hang the butterfly.